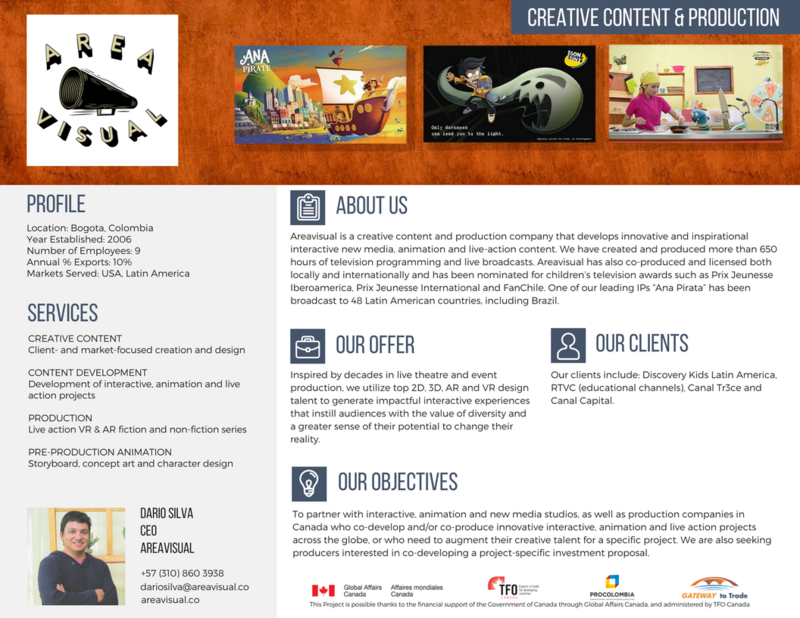 Looking for your next animation services partner? Your new mobile software team? Your next VR/AR services provider? Your next co-producer? 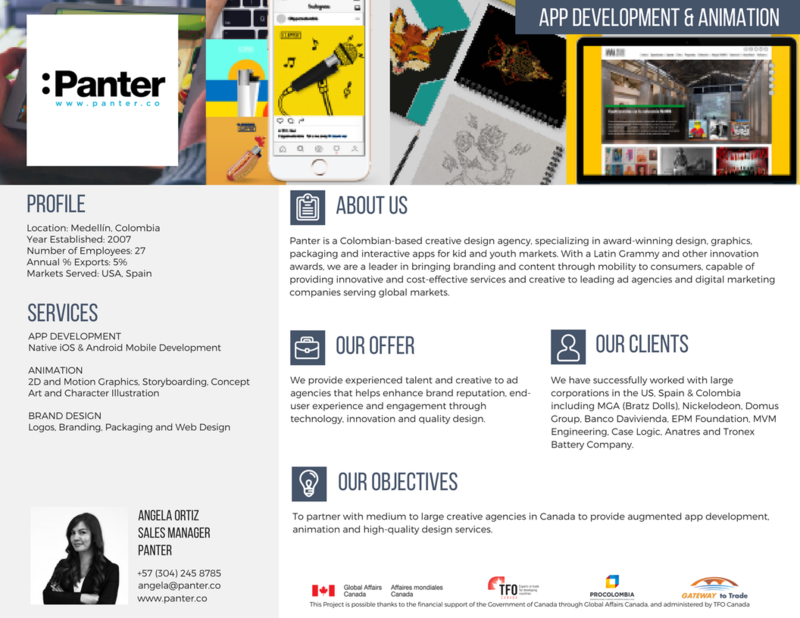 14 leading-edge IT and Digital Creative Colombian companies are ready to meet with you. To schedule a meeting with Area Visual, please click HERE. 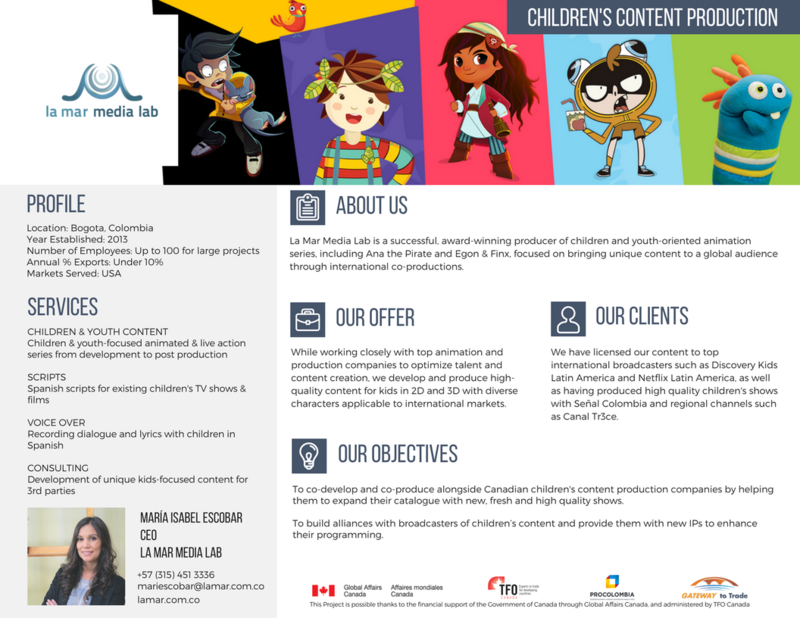 To schedule a meeting with La Mar Media Lab, please click HERE. 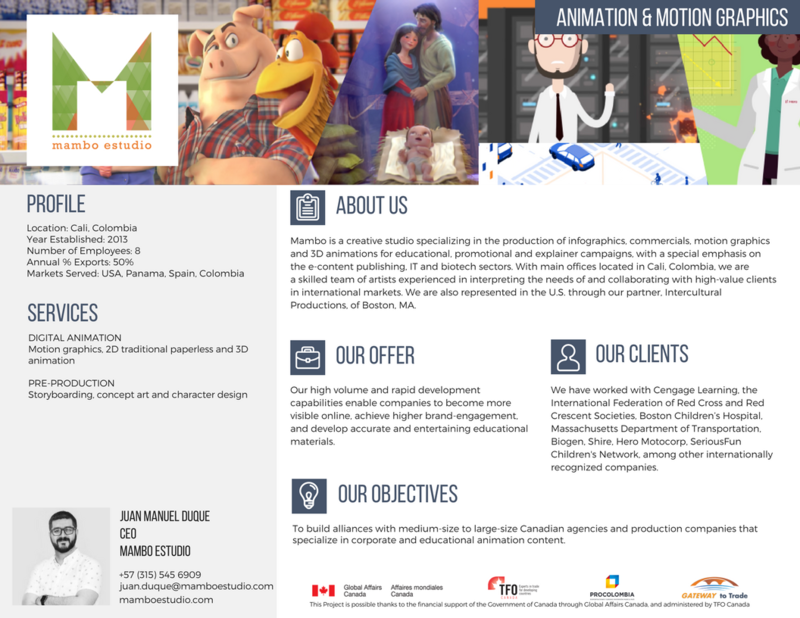 To schedule a meeting with Mambo Estudio, please click HERE. 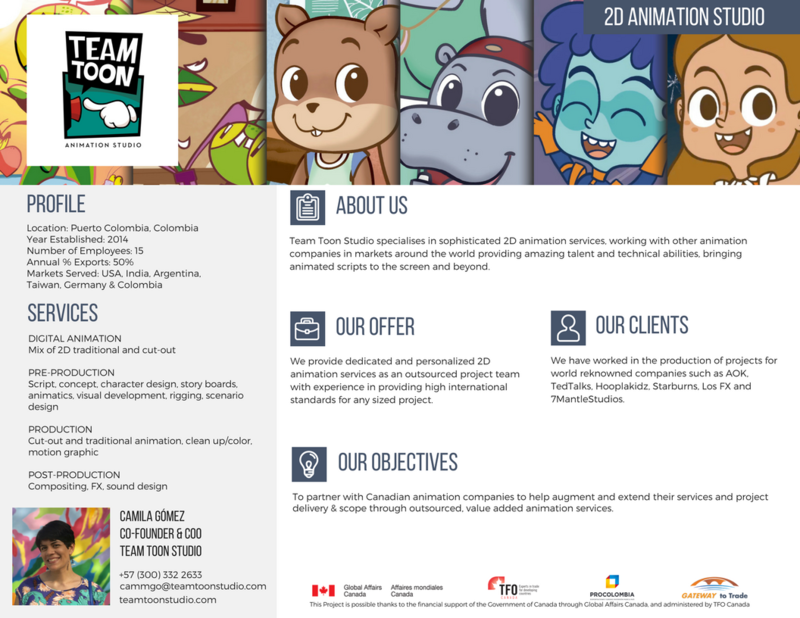 To schedule a meeting with Team Toon Animation Studio, please click HERE. 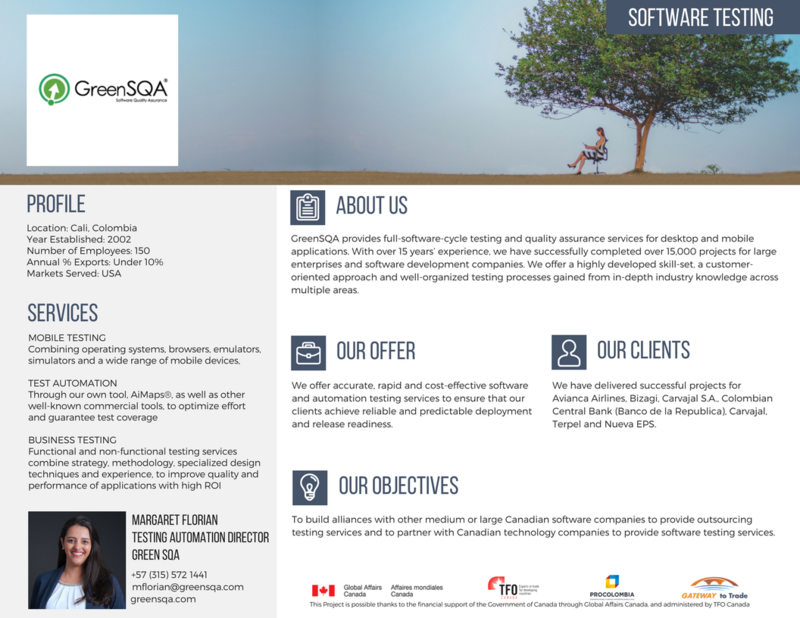 To schedule a meeting with Green SQA, please click HERE. 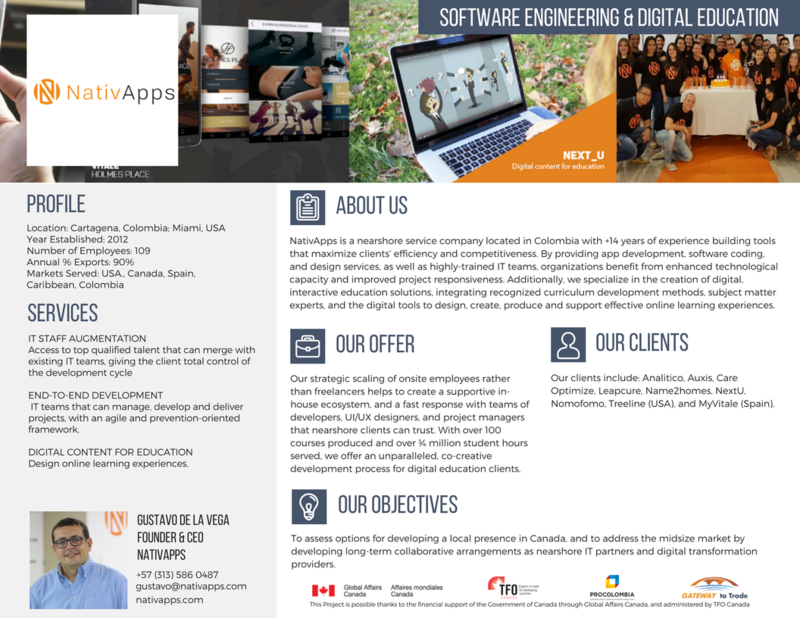 To schedule a meeting with NativApps, please click HERE. To schedule a meeting with Panter, please click HERE. 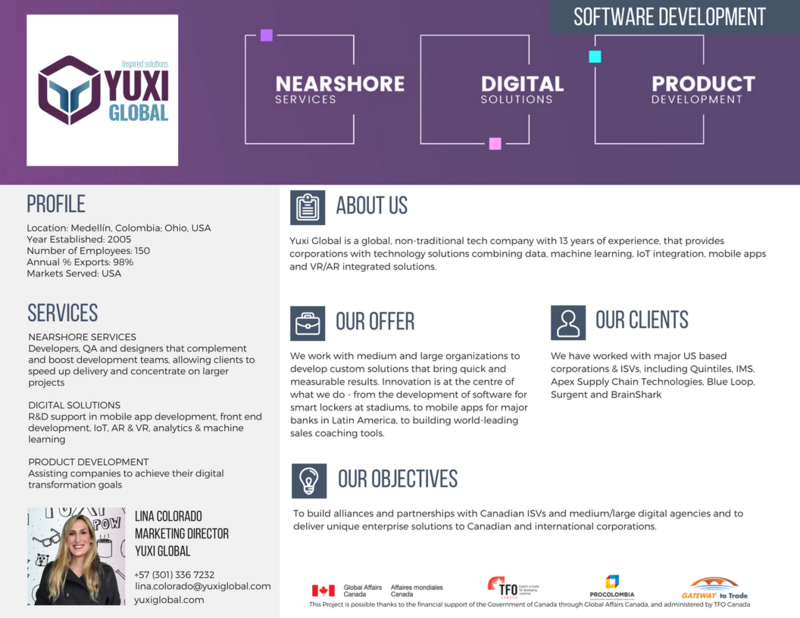 To schedule a meeting with Yuxi Global, please click HERE. 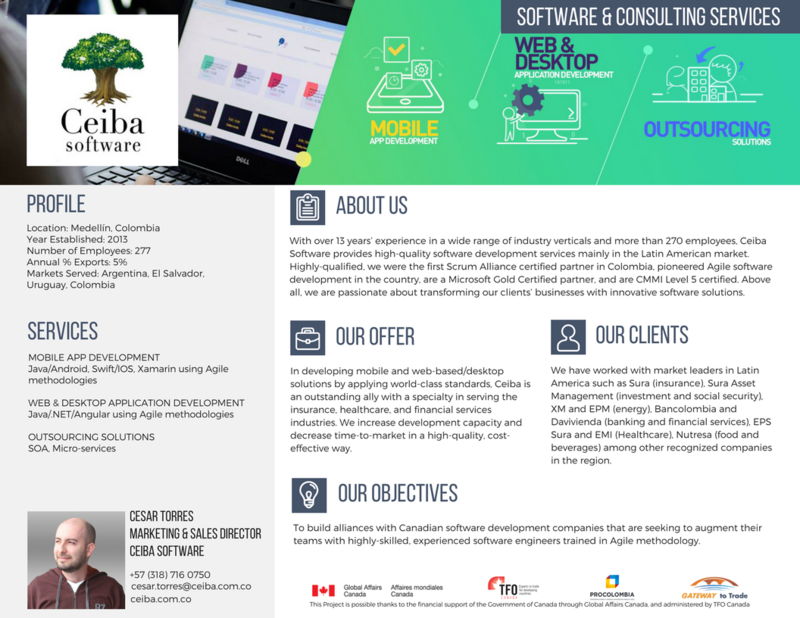 To schedule a meeting with Ceiba Software, please click HERE. 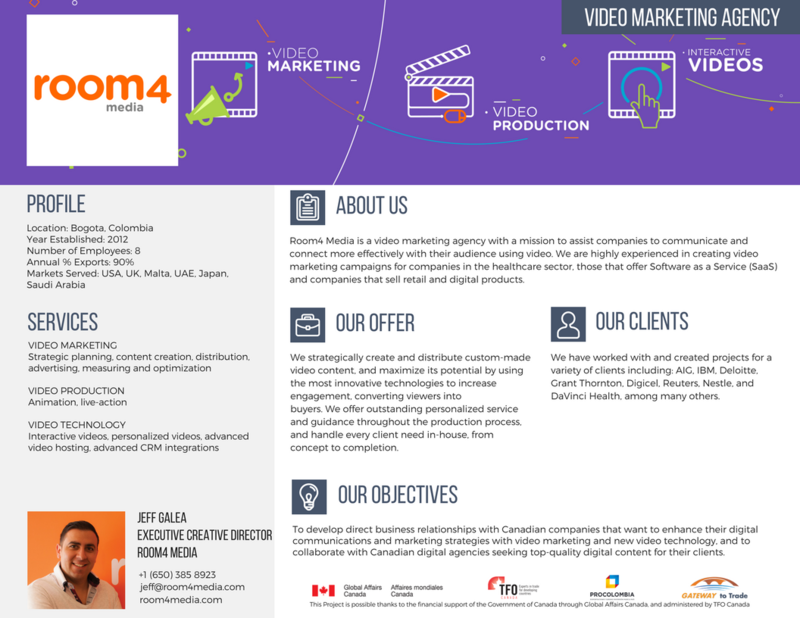 To schedule a meeting with Room4 Media, please click HERE. 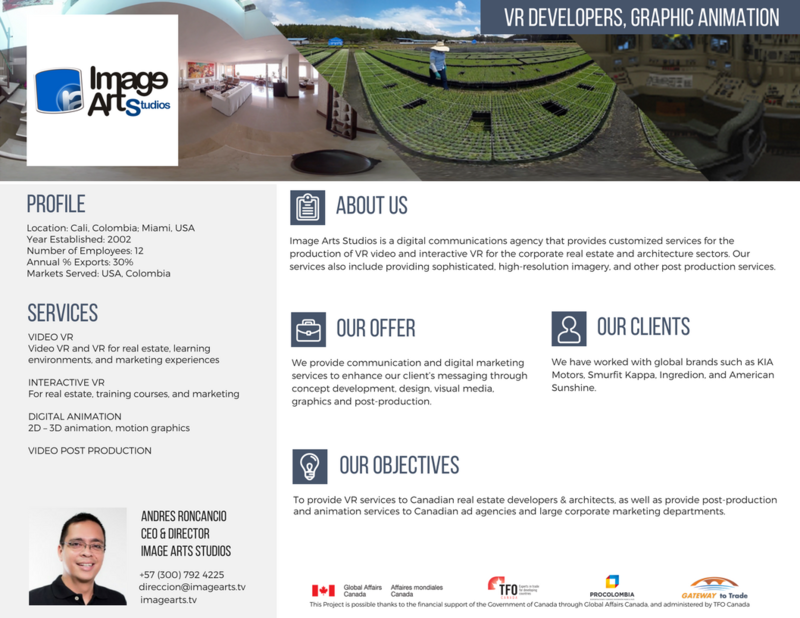 To schedule a meeting with Image Arts Studios, please click HERE. 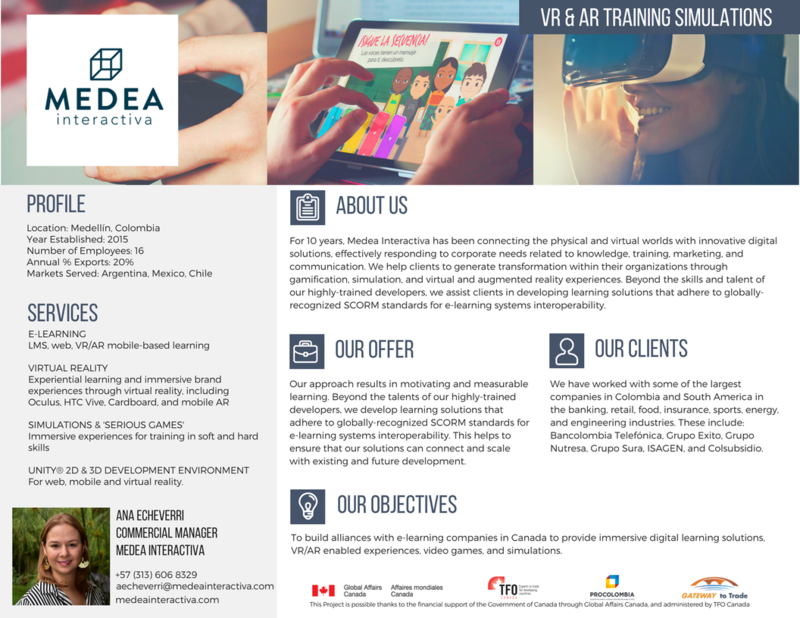 To schedule a meeting with Medea Interactiva, please click HERE. 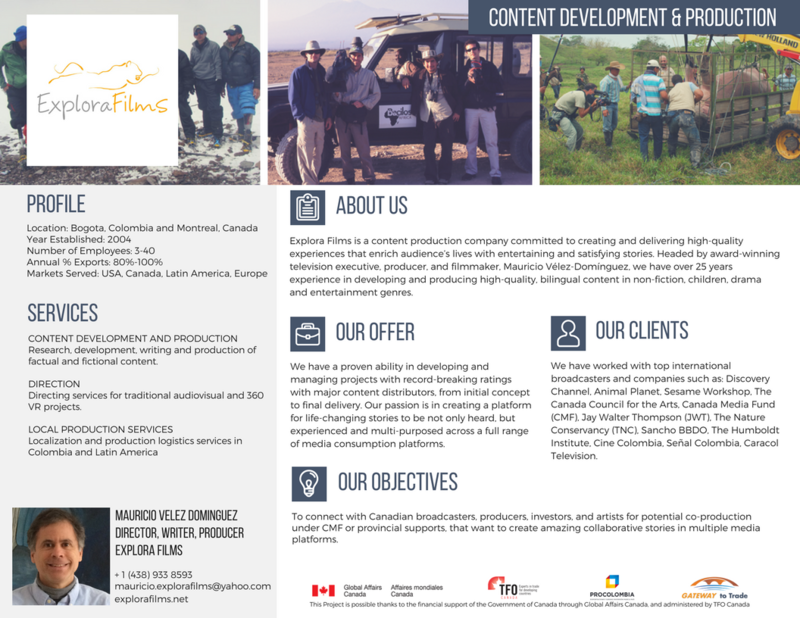 To schedule a meeting with Explora Films, please click HERE. 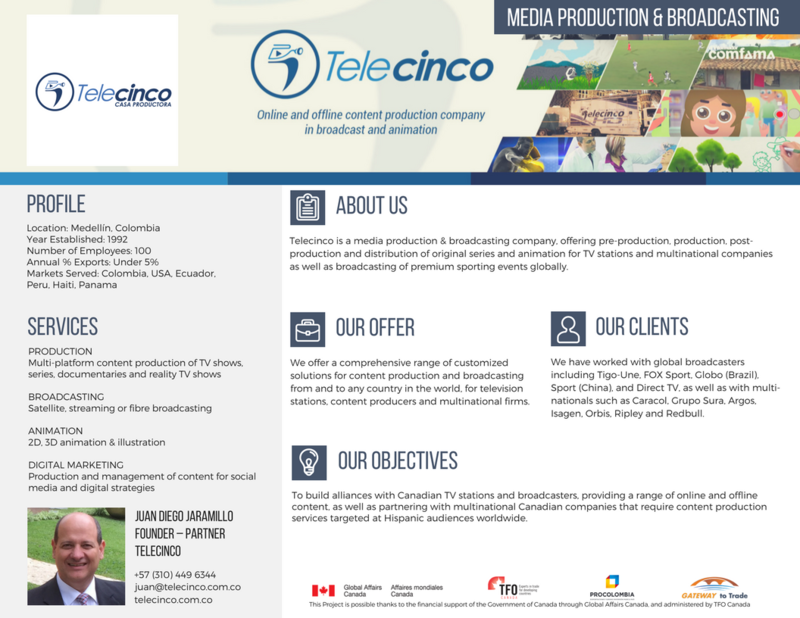 To schedule a meeting with Telecinco Production House, please click HERE.